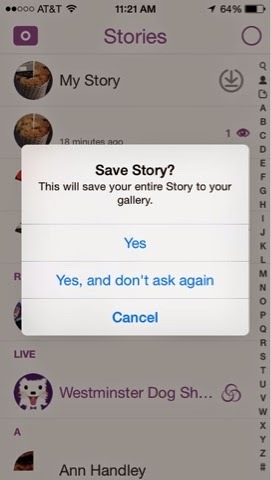 Snapchat added a button that allows you to save your story, to your camera roll. Now Snapchat is one of the easiest, real-time story telling tools around. Meerkat: Tweet Live Video from an iPhone. Twitter Video, It's 30 Seconds.